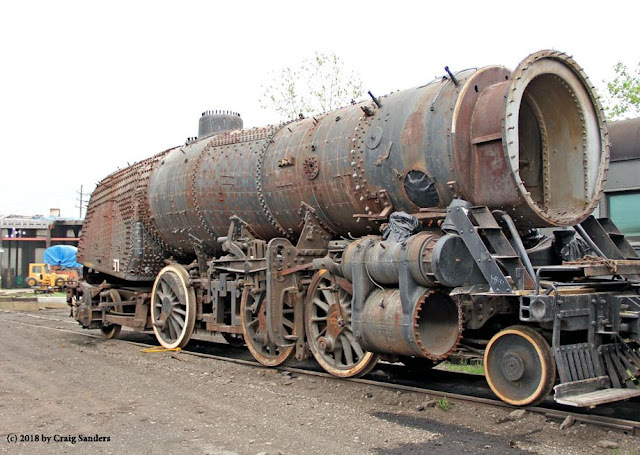 Just A Car Guy: The former Grand Trunk Western 2-8-2 No. 4070 these days is in a state of disassembly. The Midwest Railway Preservation Society's goal is to raise $1.2 million for restoration of the 4070, so far $5,545 has been raised. The former Grand Trunk Western 2-8-2 No. 4070 these days is in a state of disassembly. The Midwest Railway Preservation Society's goal is to raise $1.2 million for restoration of the 4070, so far $5,545 has been raised. A graph on the Midwest Railway Preservation Society website tells the story. Founded in 1955 when a group of concerned citizens purchased the B and O Roundhouse on West 3rd Street in Cleveland Ohio, slated for destruction, for $200,000. The other roundhouses such as the New York Central, Nickel Plate, and Pennsylvania are all gone. MRPS now owns over 20 pieces of Vintage rolling stock, including the 4070: a former Grand Trunk Western 1918 USRA light Mikado (2-8-2) steam locomotive that was featured in movie "The Natural". 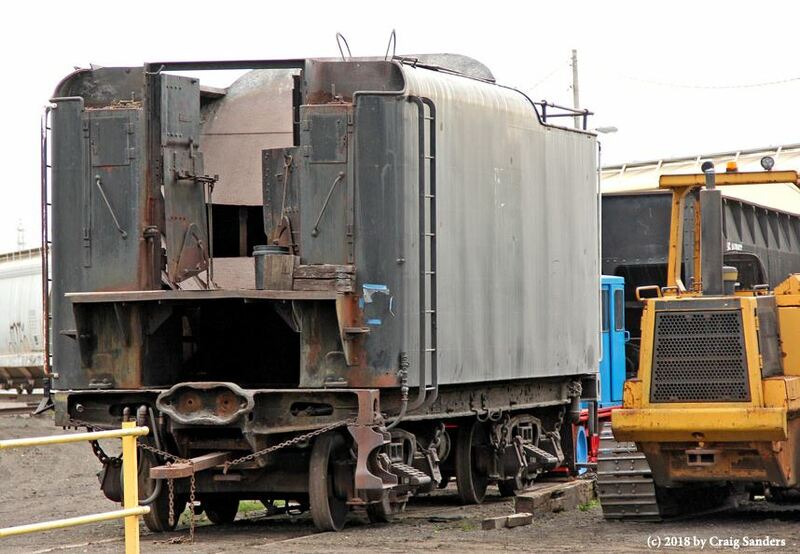 In addition to working on our vintage rolling stock, our long-range goal is to restore the Roundhouse site and turn it into an educational and historical railways museum - preserving our area's great railroading past for generations to come. Built in the period 1905-1919, the B and O Roundhouse once operated 24/7/365. At its peak in the 1940s, it employed a staff up to 400. It was once the central locomotive ​service center for one of the great rail lines that helped built Ohio’s industrial and economic might. Today, stalls 1 to 4 of the building are open and in stable condition. Stalls 6 to 10 are supported for future restoration. Stall 11 to 15 are completely gone. The infrastructure has decayed and many of the walls need work but we are slowly rebuilding it back to it former glory. #4014 is finished and running. it really isn't and it says so right on that link. Serious. So... after I just spent a couple hours looking into it's current status, and posted about it, what did you read, specifically that had you believing it was done?